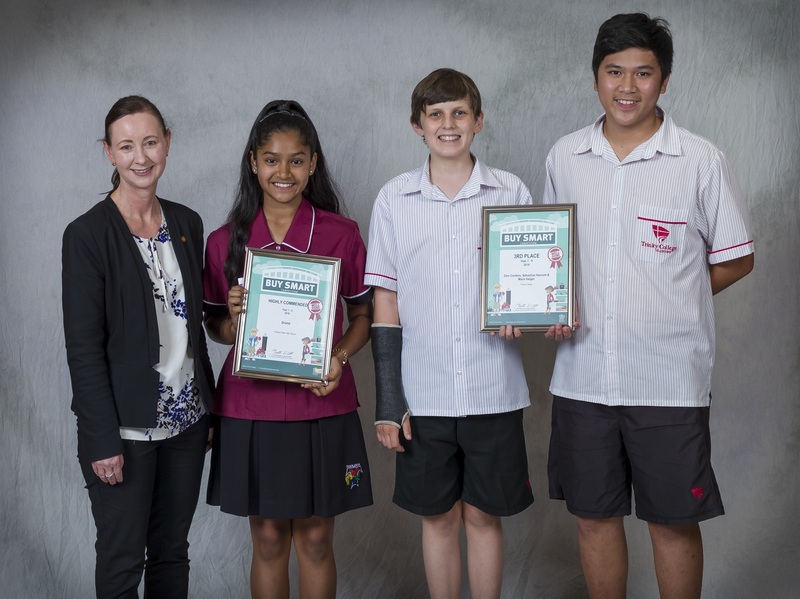 Some of Gladstone’s best and brightest students have been awarded prizes in the Office of Fair Trading’s Buy Smart Competition. 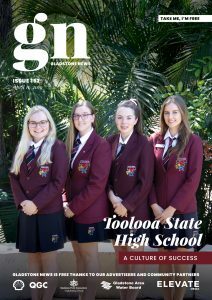 Three students from Trinity College Gladstone and one student from Toolooa State High School received their awards at ceremony at Parliament House in early November. The Buy Smart Competition asks students to make a creative project, which could be just about anything you can imagine. The competition requires students to research a consumer topic and present it in a creative way. Member for Gladstone, Glenn Butcher said the wide array of competition entries from students in Years 4 to 12 showed that the consumers of the future already knew how to navigate the marketplace. “By researching and presenting a consumer-related issue such as buying a car, scams or online shopping, the students who entered the competition got their message across to their peers in a relatable and energetic way,” he said. “It’s great to see young Queenslanders taking an interest in the important issues of managing their money and enforcing their consumer rights. Mr Butcher congratulated all the students who entered this year’s competition on their creativity and thank them for their hard work.” Zion Cordero, Sebastian Hurcum and Mack Geiger from Trinity College were awarded third prize in the Years 7 to 9 category. Their entry was a music video titled ‘Know Your Rights’, in which their entire class sang about general shopping and scam awareness. Zion, Sebastian and Mack were awarded $150 and their school was awarded $500. Drishti from Toolooa State High School was awarded a highly commended prize in the Years 7 to 9 category. Her entry was a mock-up app answering questions on budgeting, shopping and scam awareness. Drishti was awarded $50.